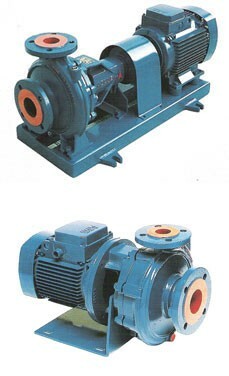 One stage horizontal centrifugal pumps. Pump range covering wide hydraulic performances. High efficiency, low NPSH required and silent running. Water supply & distribution (industries or municipalities). Other applications handling hot, cooling, drinking process of water or sea water.